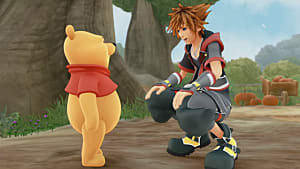 Kingdom Hearts 3 is different from previous titles because it lets you upgrade each keyblade, allowing you to use your favorite keyblade late into the game, no matter when you obtain them. However, you have to upgrade each keyblade individually, and it takes several materials to fully upgrade even one of them. This guide will explain how to upgrade your keyblade via the Keyblade Forge. 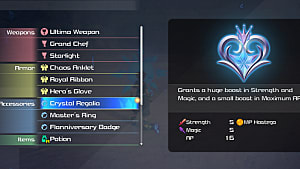 The Keyblade Forge is found in the Workshop, which you can reach by interacting with any Moogle shop in the game. Once you reach one, select the Keyblade Forge option. There are 10 total upgrades for each keyblade and the materials needed will increase and change as you upgrade each one. 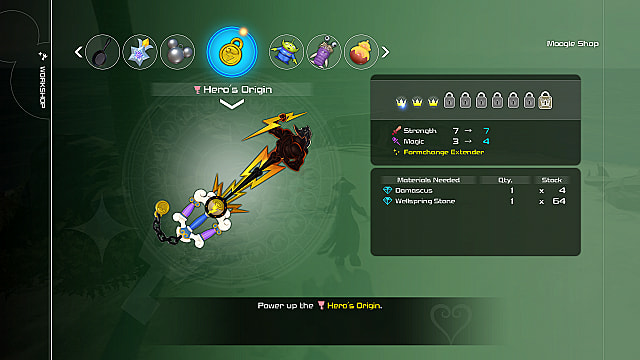 Although one of the later upgrade materials will vary slightly for each keyblade, there are important ones that each one requires no matter what. Each upgrade will either increase a keyblade's Strength or Magic stat by 1, then it will alternate each level. 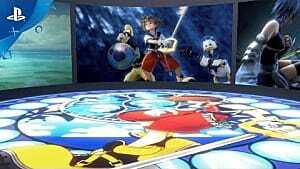 The first upgrade depends on if the keyblade is a Strength-type, Magic-Type, or Balanced-type. Strength keyblades increase Strength first; Magic keyblades increases Magic first; and Balanced keyblades increase whichever stat needs to be balanced first. At either rank 4 or 8, each keyblade gets a new ability. 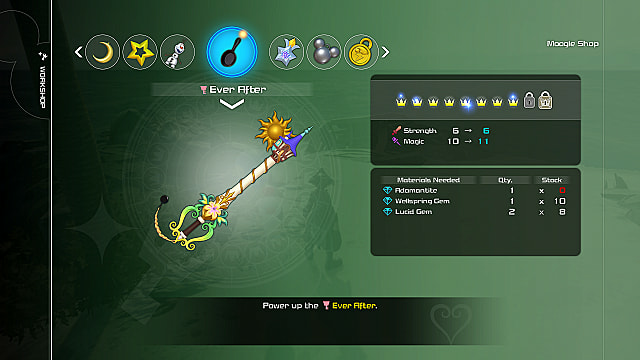 Most keyblades get the Formchange Extender. This extends the availability period of formchange commands. 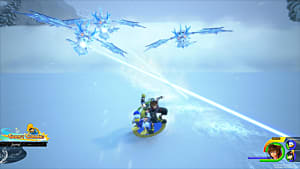 Some keyblades get different abilities, and they depend on the keyblade. These are the important materials you'll need to worry about when upgrading Keyblades. Fluorite is needed first, followed by Damascus, and finally Adamantite for the last upgrades. Fluorite and Damascus are fairly straightforward. Fluorite can be found in chests and during gummi ship exploration early in the game. As you progress, you will be able to buy them both from shops. 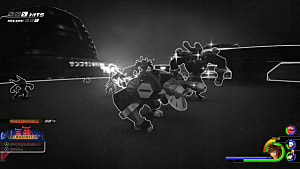 Damascus can be found the same way, but you won't encounter them until Monstropolis and later, starting from the second space area. Adamantite can also be found in chests and space exploration, but only from The Caribbean onward. 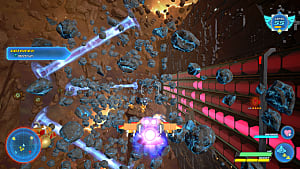 When you are exploring in the gummi ship, look for the black/glowing blue rocks to shoot. These rocks sometimes have the materials required for upgrading keyblades. Electrum is needed for the final upgrade and can be hard to get. 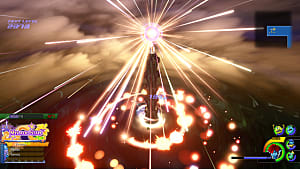 You can sometimes find them from the treasure spheres and the black/glowing blue rocks in The Eclipse space area. That's all you need to know about the Keyblade Forge and upgrading your keyblades in Kingdom Hearts 3. Leave a comment below if you have any questions. 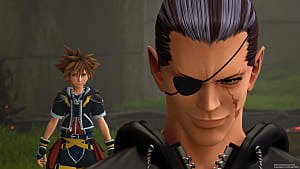 Also, be sure to check out our other guides for Kingdom Hearts 3, including our keyblade info list as well as our guide on how to find orichalcum+.